Idaho Bike Map - Idaho Bed & Breakfasts | Idaho B&B Assoc. Idaho boasts a range of outstanding bike trails in all skill levels. 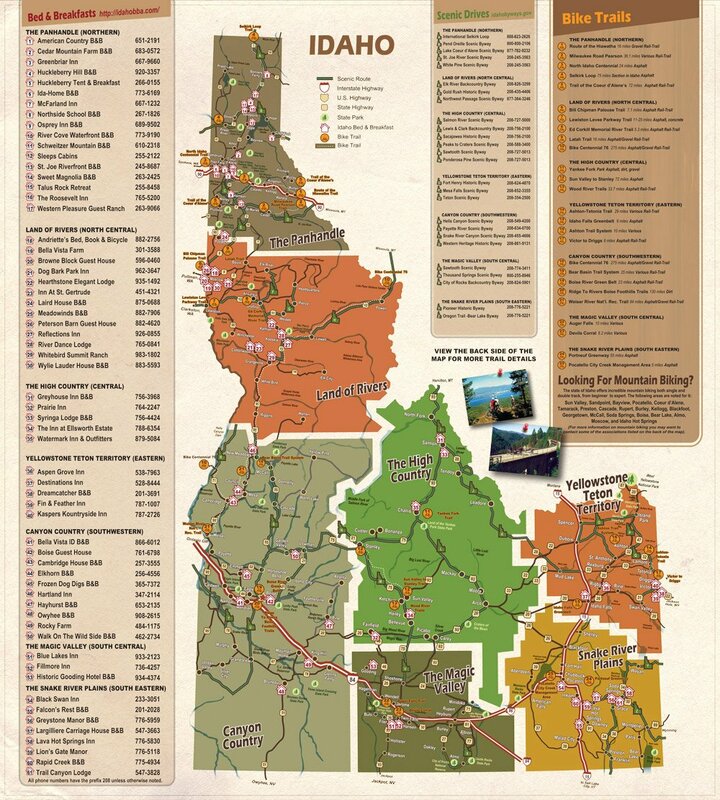 Download our map or order a free map to explore Idaho's many bike trail offerings.